Located on the Second floor of our new cottage. It faces East and overlooks our private courtyard. 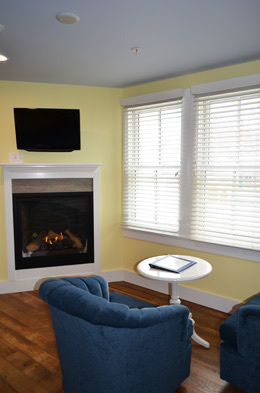 It has a King-size bed, wet bar, fireplace and a seating area for two. The bathroom is luxurious and bright with radiant floor heat. 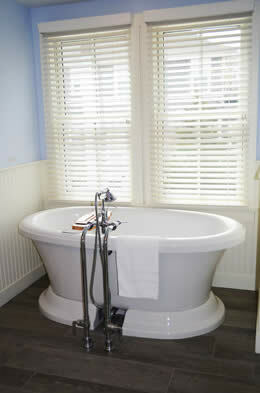 It features an air-jetted pedestal tub, double sinks and a separate rainfall shower.